Selling print services is a complex and challenging process today, one that has taken on a new character in an era when paper documents act as complements to marketing strategies, rather than primary communication and record-keeping tools. That said, there's nothing stopping your print business's sales team from acquiring the skills and knowledge it takes to win new customers and retain your current clientele. Yes, the value proposition of print service providers has changed, but it still shines through when presented in the right way. It's time to ask yourself whether you're doing enough to support your sales professionals and help them make their pitches. A coordinated effort, one in which every salesperson feels supported and accounted for by the company as a whole, is much more likely to produce results than a system in which sales professionals push ahead in isolation. 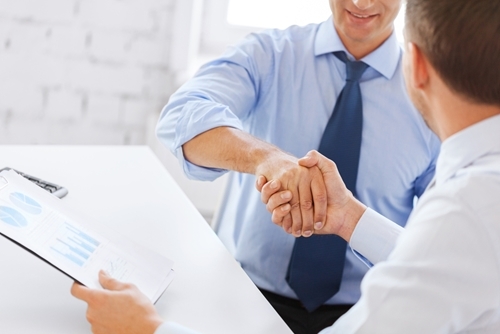 A few high-level changes can have positive effects throughout the sales process. WhatTheyThink columnist Jennifer Bergin recently pointed out that the printing industry is conspicuously lacking in sales management. This means that representatives don't get the kinds of information and structure they need to reach full potential. She added that companies should ensure they are training and preparing their salespeople, as potential buyers of all kinds of products and services have developed an increasingly discerning eye in recent years. The present age of commerce has set expectations high in general sales situations. The freedom of choice present in the consumer market, where people can buy at any time and feel less loyal to particular brands, may have had a large impact on the way B2B buyers conduct their searches for new partner organizations. They certainly feel free to perform research and browse, and they need to see sales teams prepared to answer their questions. Bergin added that buyers are looking for businesses that can solve their particular business problems. Given their up-close knowledge of the challenges they are facing, these purchasers may be unimpressed by anything less than innovative solutions. This means time you spend teaching your team about the sector they are targeting and the way your organization's print products solve common industry issues is absolutely essential. Over the course of this internal education, you create salespeople ready to deal with buyers on their own terms. Of course, the key to being a great seller doesn't just reside in learning as much information as possible and spitting it back out. There are other ways to encourage your sales team to improve, and sometimes they involve thinking of sales as a matter of striking up relationships with buyers instead of just acting as a data delivery service. This more human approach to sales recently received a spotlight from Printing Impressions contributor Bill Farquharson. He explained that sales isn't always about knowing industry tips or secrets. Making a connection with a buyer also relies on a representative's ability to divine how that individual likes to conduct business and adapt to that style. Some people will like a lot of technical details, others will like salespeople who work quickly and don't waste their time, most requirements will fall somewhere in between. When it comes to learning about sales styles, and what counts as "normal" and acceptable, representatives can learn from everyday life. Farquharson pointed out that every interaction contains information about what constitutes a good conversation, what certain types of individuals like to hear and how to make an ideal pitch. Presenting paper products and related services in an ideal light means mixing in-depth knowledge about the industry with an ability to create rapport. If your team can't pull of this balancing act, it's up to you to impart the information they'll need to become stronger and more effective. When a salesperson truly reaches a customer, providing every necessary piece of data and building a bond of trust, the resulting contract can carry a print service provider for a long time. These results justify the effort spent on improving sales processes.